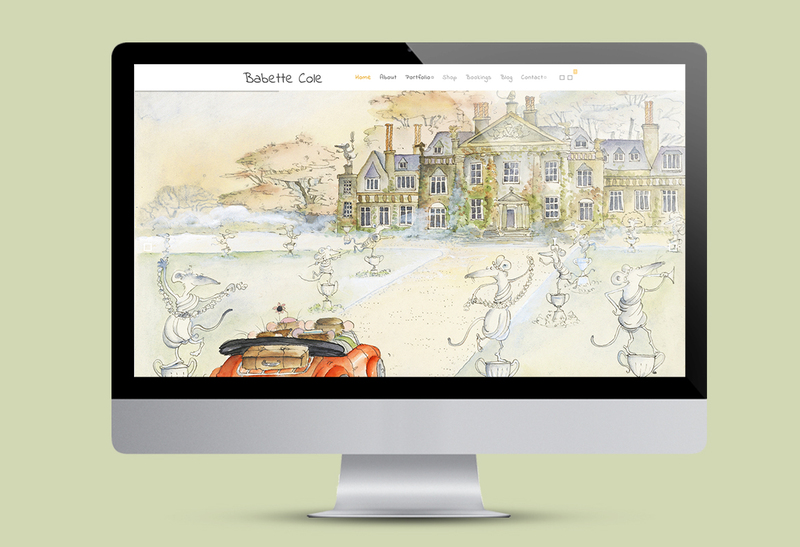 A good friend of another client Quentin Blake, Babette Cole had seen our work and required a new personal website to show off her extensive work, communicate with her worldwide fan base and make her works available for collectors. 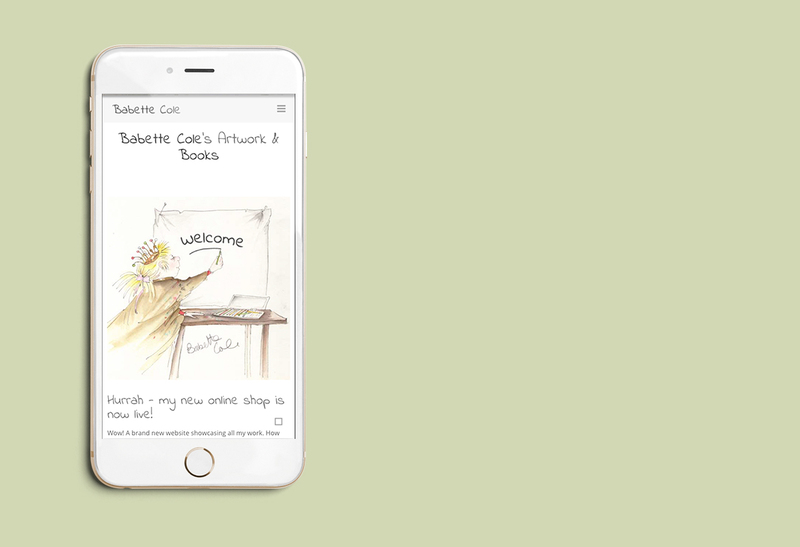 To collate works, scan and document these not only for use on the website, but also to maintain a record of Babette’s work. To provide on-going support in assisting with site maintenance and social media content. 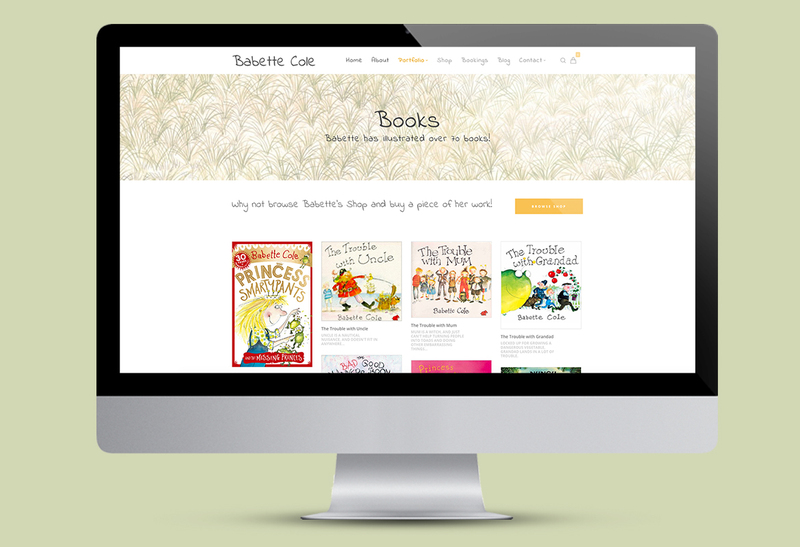 Create an image rich Wordpress website that enables Babette to show the versatility and variety of her work. 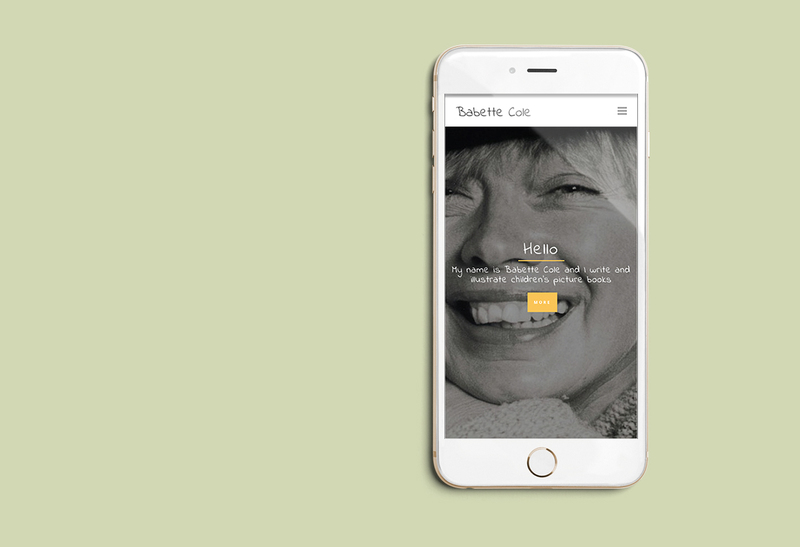 We created a website that included a blog, videos, event calendar and online bookings. It has international e-commerce capability with stock control, restocking alerts, track & trace and special requests for out of print materials. 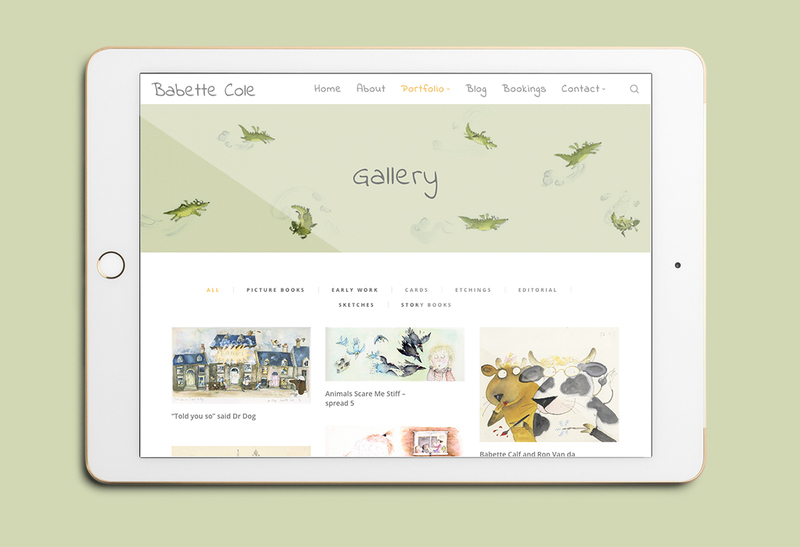 The site uses hand drawn fonts and lots of imagery to capture the playfulness of Babette’s work. 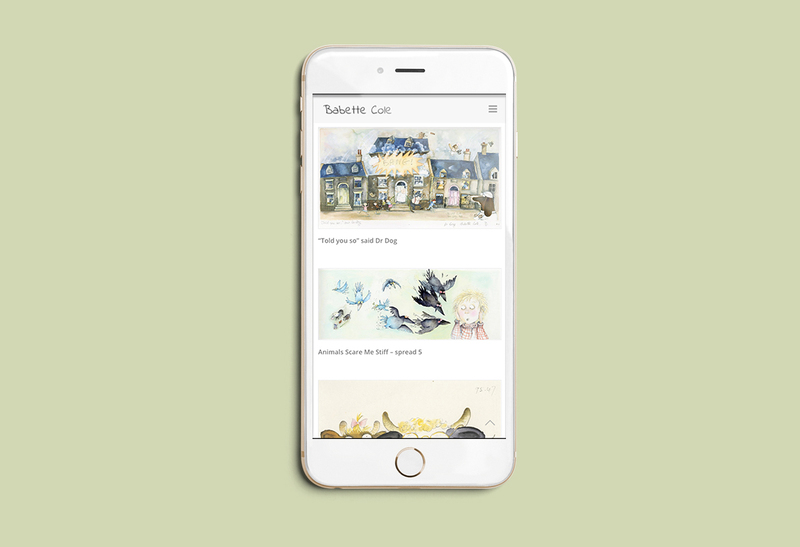 At the same time it provides an insight into Babette’s life and achievements, her love for horses and competing in various competitions, her love for animals and outlandish hats, all of which give fans a greater insight into the artist behind the fearless work. The easy to manage content management system (CMS) enables us to easily and efficiently update and manage the site with fresh content both on the site itself and via various social media accounts.